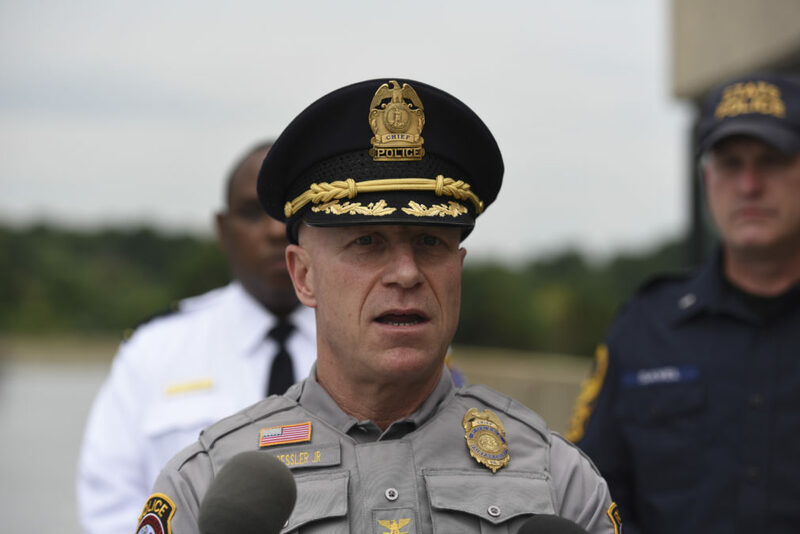 Fairfax County Police Chief Ed Roessler speaks to journalists at the Vienna metro station in Vienna, Va., Sunday, Aug. 12, 2018. A contingent of white nationalists had arrived there earlier to travel to Washington to rally on the first anniversary of their rally in Charlottesville. New Orleans – The FBI will fast-track a fix to address flaws in its uniform crime report and is expected to change reporting rules to encourage more transparency about the outcomes of investigations by local law enforcement agencies, following a yearlong investigation by Newsy, Reveal from The Center for Investigative Reporting and ProPublica. The investigation uncovered a major flaw in the FBI’s next-generation crime reporting system, the National Incident-Based Reporting System. 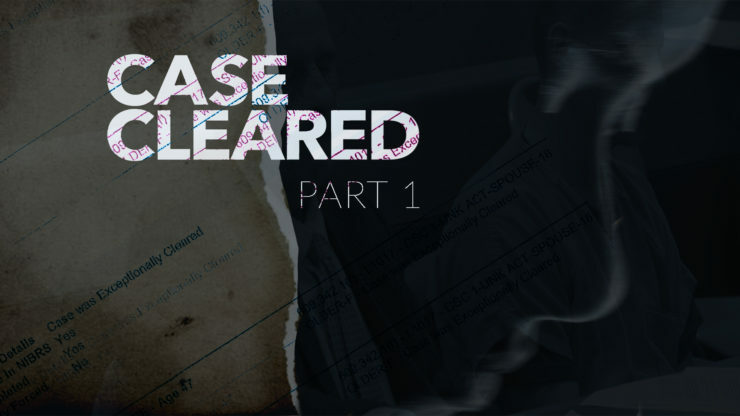 The new system does not track cases police classify as “unfounded,” a category for when police say the victim is lying or the reported crime did not occur. “Because of the importance of the “unfounded data” issue, this topic has been inserted into the next round and will go before the semi-annual board in June,” said FBI spokesman Stephen Fischer. Mitch Beemer, the incoming president of the Association of State Uniform Crime Reporting Programs and the incident-based reporting manager for the Kansas Bureau of Investigation, told Newsy after the meeting that he thinks his members would support a change to track unfounded cases in the NIBRS data. Law enforcement agencies have for decades been criticized for misusing the unfounded designation, leading to scandals in Baltimore, Philadelphia, New Orleans and elsewhere. An earlier FBI and Bureau of Justice Statistics joint task force cited a scandal in Chicago and explicitly recommended that unfounded cases continue to be tracked under the NIBRS system — neither the Bureau of Justice Statistics nor FBI provided an explanation for why the recommendations were not followed when NIBRS was originally implemented in 1989. New Orleans – The FBI will fast-track a fix to address flaws in its uniform crime report and is expected to change reporting rules to encourage more transparency about the outcomes of investigations by local law enforcement agencies, following a yearlong investigation by Newsy, Reveal from The Center for Investigative Reporting and ProPublica.The investigation uncovered a major flaw in the FBI’s next-generation crime reporting system, the National Incident-Based Reporting System. The new system does not track cases police classify as “unfounded,” a category for when police say the victim is lying or the reported crime did not occur. “Because of the importance of the “unfounded data” issue, this topic has been inserted into the next round and will go before the semi-annual board in June,” said FBI spokesman Stephen Fischer.“This is lightning fast compared to how this usually works,” said Erica Smith, chief of the incident-based reporting unit for the Department of Justice’s Bureau of Justice Statistics.When reporters first brought the flaw to Smith’s attention, she called dropping unfounded cases from the data collection unacceptable. She has since had multiple calls with FBI officials urging they address the issue and investigate whether misleading information is being released to the public. Law enforcement agencies have for decades been criticized for misusing the unfounded designation, leading to scandals in Baltimore, Philadelphia, New Orleans and elsewhere. An earlier FBI and Bureau of Justice Statistics joint task force cited a scandal in Chicago and explicitly recommended that unfounded cases continue to be tracked under the NIBRS system — neither the Bureau of Justice Statistics nor FBI provided an explanation for why the recommendations were not followed when NIBRS was originally implemented in 1989. Currently, about 40 percent of police agencies across the nation have transitioned to using NIBRS and are affected by the flaw. All police agencies are expected to switch to NIBRS by Jan. 1, 2021. The FBI is expected to work over the next several months on drafting recommendations to be voted on in June at the next meeting of the full Advisory Policy Board. If approved, the recommendations go to the FBI director for implementation.